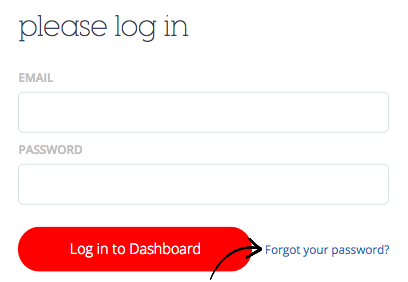 Forgotten password - How do I reset my SwipedOn Dashboard password? Trying to log on to your SwipedOn Dashboard but can't remember your password? Heres a helpful guide to get you back on track! Navigate to your SwipedOn login page. Enter your account email address and press 'Send Email'. Follow the email link to and fill in form to reset password. *Please note, you will need to have a login as a 'Company Admin' or 'Location Manager' to access the SwipedOn web dashboard.